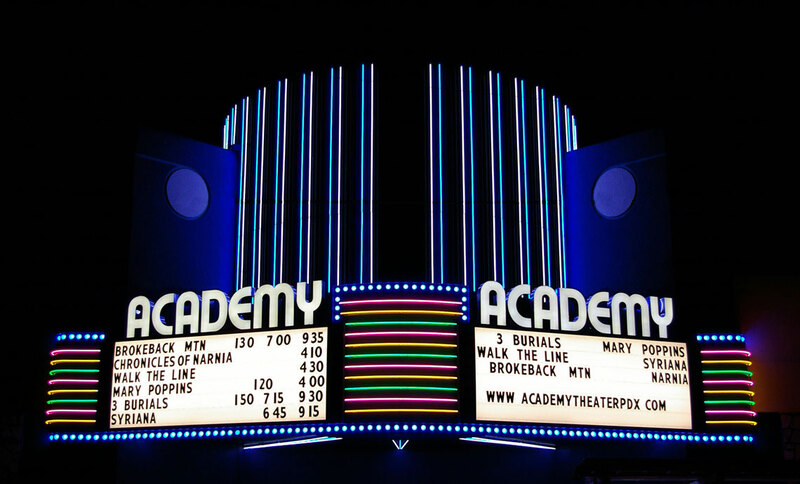 Originally launched in 1948, the Academy Theater was a popular Montavilla destination until its closure in the 1970s. Over the following years, it fell into disrepair, but a full-scale renovation was completed in 2006, including careful restoration of the glittering rounded lobby with its soaring, metallic two-story dome. Great attention was paid to every detail of the project. Using vintage photos from the original opening night, even the theater’s signature marquee has been recreated to imbue the building with authentic 1940s charm.